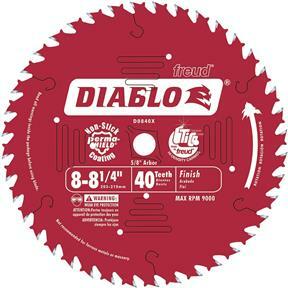 This Diablo saw blade is designed to meet the needs of the construction and remodeling market. This advanced laser cut blade features a thin kerf, making it ideal for portable and low powered saws on the jobsite. A permanent Perma-SHIELD coating keeps this blade free from gumming and corrosion, and laser-cut stabilizer vents reduce vibration and heat buildup for more precise cuts and longer cutting life. 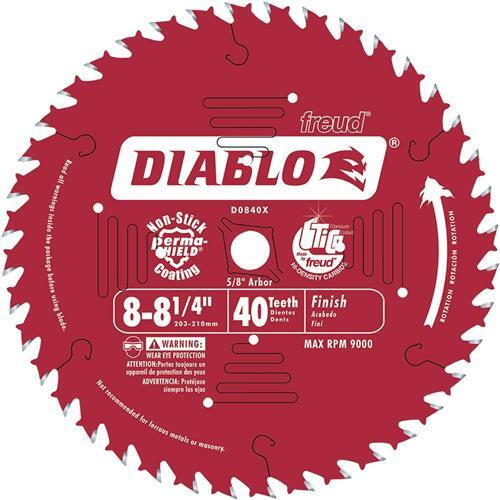 This particular blade leaves a smooth finish when ripping and crosscutting 1x stock, decking, fencing, and plywood. This is the ideal plywood blade for your circular saw.